The dot-peen mark shown at left was made with a CMT I-Mark I series IMID60. The round carbide pin impacts each cell one time to place a single dot in the cells required. The conical imprint is reflected in various shapes across the face of the code as the light reflects in these conical impressions differently depending on the direction of the light to the conical impression. Other 2D dot-peen marks can be subject to non-linear lines and missing marks. 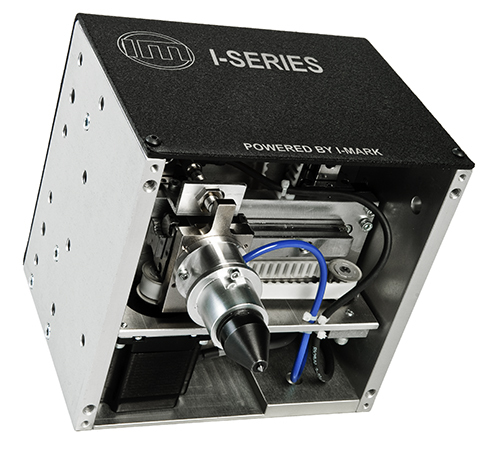 The I-Mark’s dual rail system maintains the precise lines required for the 2D code. In addition, the high torque stepper motors and Kevlar reinforced belts, combined with an all metal pin assembly assure proper placement of each dot. 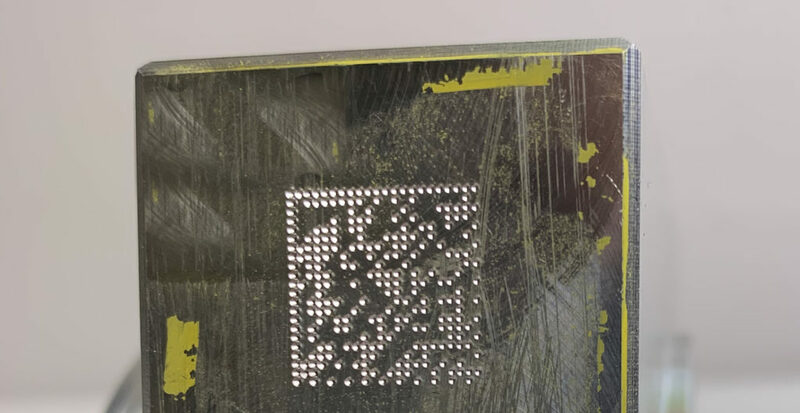 To check the quality of the mark, a 2D camera was used to read it. The camera has a variety of different filters and lighting methods. 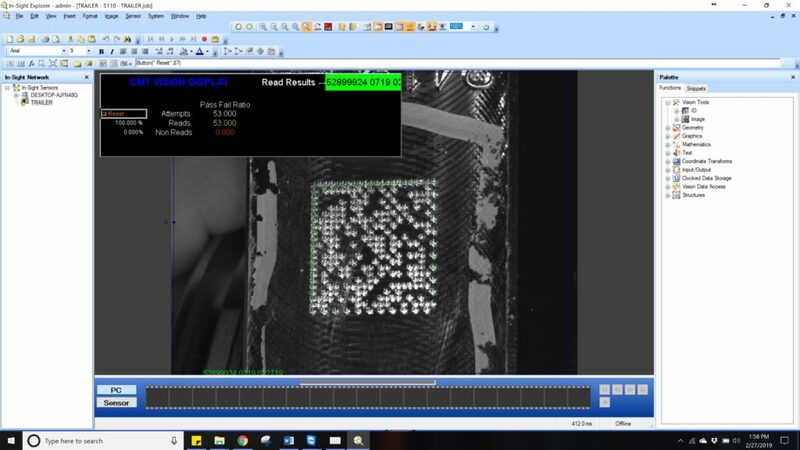 With these controls, the camera is able to read the mark 100% over 26 passes. While the conical reflections vary, the depth of the mark is sufficient to provide solid readability across the entire mark. The CMT I-Mark dot-peen solution may be passed over by some who have used other similar systems. However, this industrially designed dot-peen is well worth consideration. CMT is unique in offering the 2D as a scribe solution. This patented process provides a higher resolution mark. The scribed Square-Dot application draws each cell. While more time is required for this process, the diamond tip makes this a great solution for many applications. The scribe mark shown was made with the CMT I-Mark I series IMIS60. This diamond tip scribe uses ball screw drives to carve the tip through the material. The system has even larger motors than the dot-peen, and of course the all metal housing assembly. Again, the depth of the mark is extreme, compared to other similar methods. While the IMIS60 is used to make a 2D Square-Dot, the regular alpha/numeric characters are clearly defined. Many customers have selected the scribe just for the man-readable code applications. Of course, an added benefit is that this method is “silent” and does not make the percussion sounds of the dot-peen. One of the methods the camera can employ is a darkfield. The darkfield allows this mark to be very clearly defined. 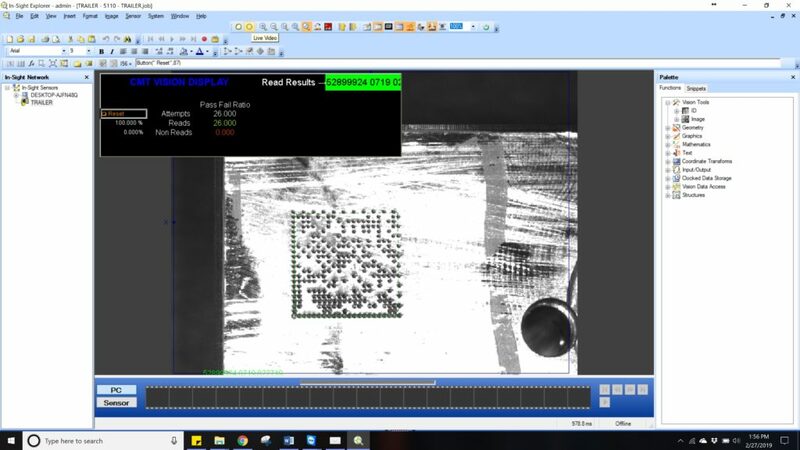 The camera is able to read the mark 100% over 53 passes. The cells are boldly defined with the scribed squares. 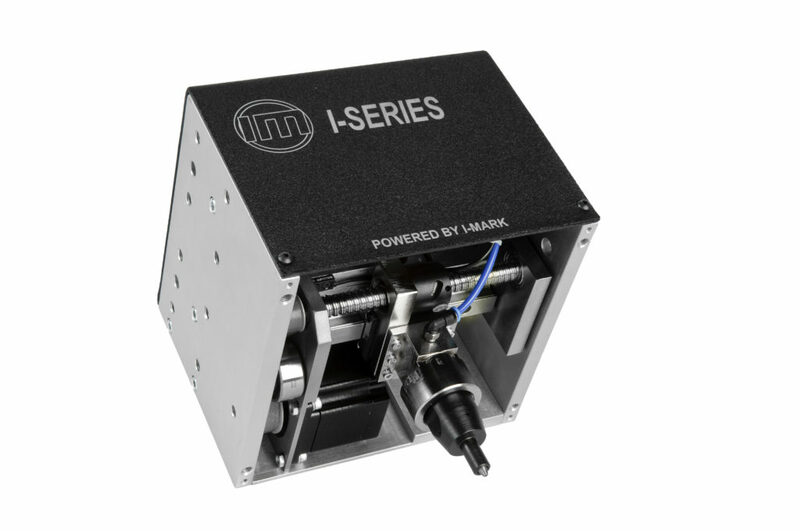 The CMT I-Mark scribe solution may be passed over by some who have used dot-peen and have elected to upgrade to a laser. 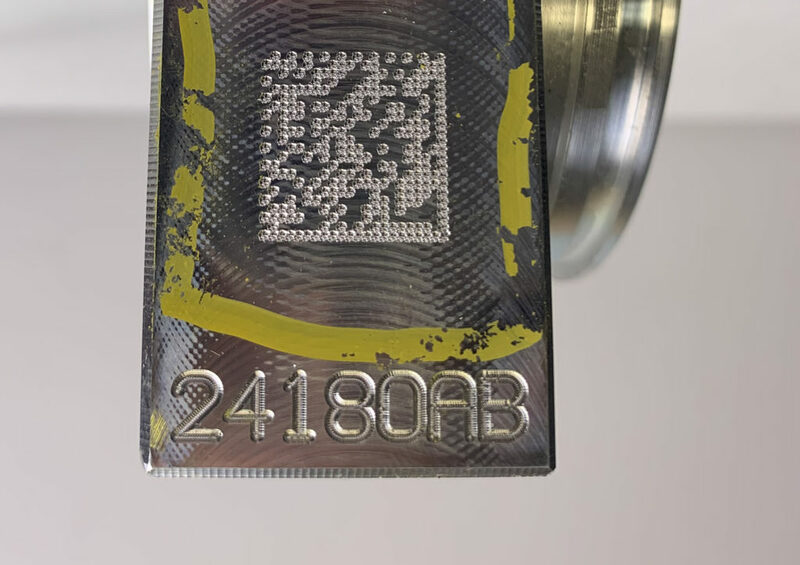 However, the CMT Square –Dot is both a more reliably readable solution than the Dot-Peen, and a more cost effective solution than a laser. CMT I-Mark I series Dot-Peen. Communication options including remote programming over LAN, and operational controls via I/O, Modbus, Serial, Ethernet IP ect. CMT I-Mark I series Scribe.